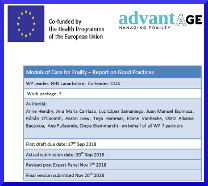 This report describes the review specifically focused on models of integrated care and support to address frailty in primary care and community settings. 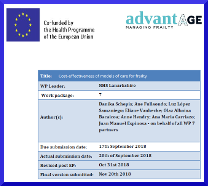 It also considers evidence for the effectiveness of models of care for frailty in hospital and at the interface between hospital and community. Hendry A, Carriazo AM, Vanhecke E and Rodríguez-Laso Á, on behalf of the ADVANTAGE JA Work Package 7. 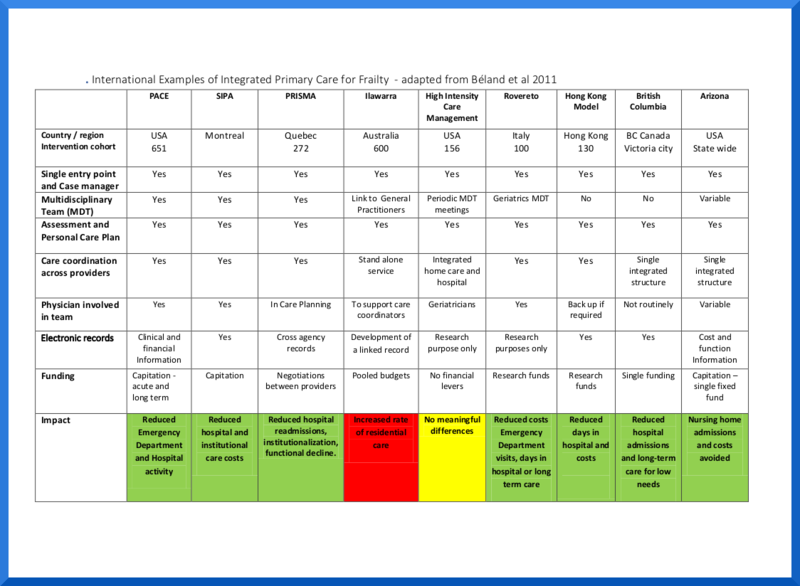 Integrated Care: A Collaborative ADVANTAGE for Frailty. 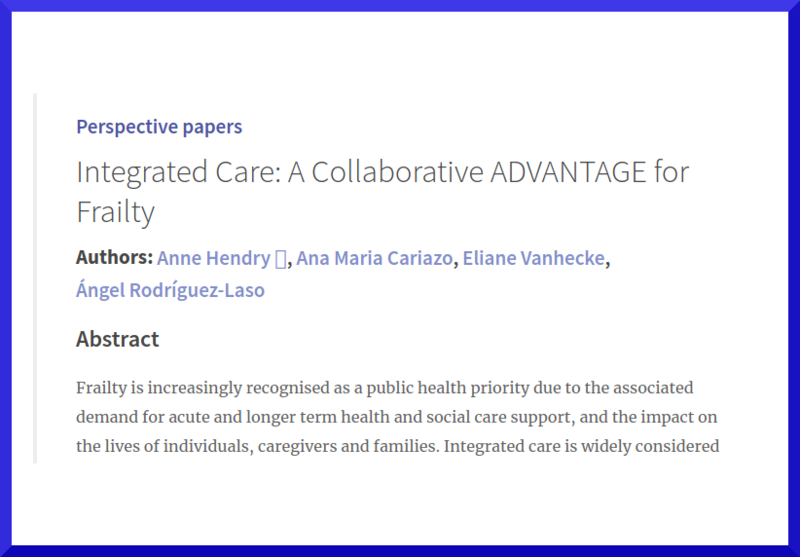 International Journal of Integrated Care, 2018.